Tata Sons has appointed Ishaat Hussain as the Chairman of the group's hugely successful IT firm TCS in place of Cyrus Mistry, who was ousted last month. "The company (TCS) has received a letter dated November 9, 2016 from Tata Sons Ltd nominating Ishaat Hussain as the Chairman of the Board of Directors of the company in place of Cyrus P Mistry with immediate effect. 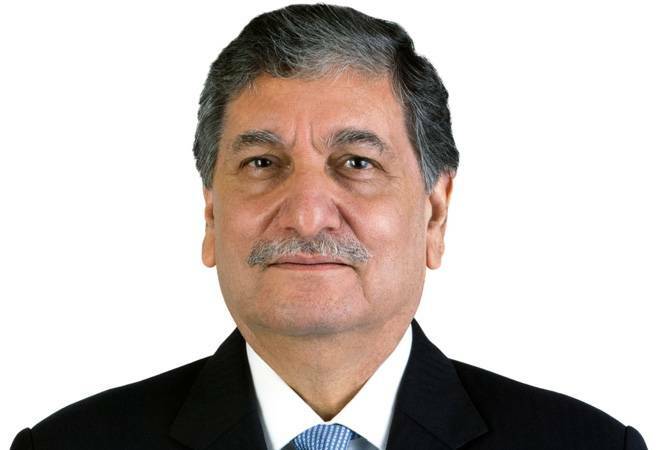 In view of this, Mistry has ceased to be the Chairman of the Board of Directors of the Company and Hussain is the new Chairman of the company," TCS said in a regulatory filing. TCS said Hussain shall hold office as the Chairman of the company until a new Chairman is appointed in his place. "Tata Sons has issued a special notice under Section 169 read with Section 115 of the Companies Act, 2013 and a requisition for convening an extraordinary general meeting of shareholders of the company under Section 100(2) of the Companies Act, 2013 to consider a resolution for the removal of Cyrus P Mistry as Director of the Company," it added.